There are so many films out there based on books, sometimes we don't even realise it! I've noticed recently that publishers are much more likely to release a film tie-in edition which can only be good for the authors. I'll start with the one I dislike the most. I'm generally quite accepting that films and books are completley different media and need to be tackled differently. I never expect a film to be like the book... However, I hated the Keira Knightley Pride & Prejudice! Whoever thought she'd be a good Lizzie?! Mr Darcy was useless and to top it all off the script was a hack job. Bleurgh. I will add that I love, love, love the BBC adaptation. I think TV adaptations are better for books on a whole. One of my favourite films is based on a novella that I have yet to read and I know perfectly well they are very different. That would be Breakfast at Tiffanys. Onto the book/film combo I liked best. I think I'll have to go with Stardust. The book itself is a short children's story so the film actually manages to flesh out the original rather that strip aspects away. I thought I'd blog before work today...though now I'm going to be singing Rule The World to myself all day! I'll be back later to do the hopping. I enjoyed all three of these movies but Stardust was the best. I prefer the BBC miniseries of Pride and Prejudice with Colin Firth even though the movie was also good. 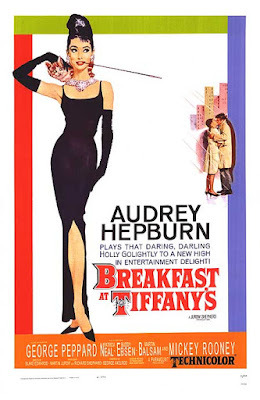 I loved Breakfast at tiffany's I'm a huge Audrey Hepburn fan but I haven't read the book. I wanted to follow your blog but your follow button doesn't seem to work so I'll check back later for that. Have a great weekend! I haven't read Breakfast at Tiffany's but it is one of my favourite films. As a rule I don't like the film version of books I read, as I see the book differently to the Director/screenwriter. There's something up with the follower widget. I can't see it at home or on my iPhone but it's fine at work! All I can suggest is to try a different browser or come back later. I liked the BBC version of Pride and Prejudice much better too. Colin Firth made a much better Mr. Darcy. Loved the BBC version of P&P. Have you ever seen the 1940s adaptation -- Lady Catherine a good guy in the end! stopping by on the hop. I guess I really need to see the BBC version of P&P...putting it on my Netflix list :) I also really liked the Stardust film - great choice! It appears to work on the main blog page, so if you'd like to follow me, click on my blog's title and go from there. The follower link on the Blogger bar works if you're logged into Blogger and the RSS feed button on the top right of the blog works. I don't know what's going on with it, hopefully it will sort itself out. Let’s kick off Memorial Day Weekend with some scandal and controversy. I absolutely loved every minute of the Lord of the Rings films and felt they hit the mark when they brought Tolkien’s masterpiece to the big screen. Thanks for the comment! I'm actually quite a Jodi Picoult fanatic, haha. I've never read those books before or seen those movies before. Except for Pride and Prejudice! It was an okay book. I can see Keira Knightley doing well in that movie. I agree on the BBC version of P&P being good. Thanks for stopping by. Have a great weekend! I totally agree with you! Keira Knightley as Elizabeth was a travesty! I generally avoid adaptations as most of them do a very good job of mangling my favourite books. 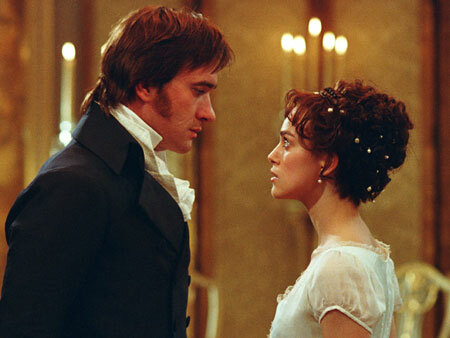 The 1995 BBC production of Pride and Prejudice is one of the very few exceptions. It was absolutely wonderful! It stayed true to one of my favourite reads of all time. Jennifer Ehle and Colin Firth were perfect for their respective roles. i haven't read and watched any of those films you mentioned but have heard them from my friends. I love LOTR movies and what I hated the most is Twilight, I just hate Kristen S for Bella's character. Happy friday!! Oh, I HATED the Stardust movie, probably because I liked the book so much. The movie just irritated me for so many reasons! Glad to have found you via the Hop. Mmm, i loved Stardust! It was even better than the book! I've never heard of Stardust - either the book or the movie. I must look them up! Thanks for the recommendation. My library lists a couple of "stardust"s - who's the author? It's by Neil Gaiman and it's probably listed as a children's book.